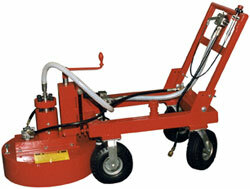 The Jetech Bi-Whirl runway cleaning machine is the most modern affordable system on the market. 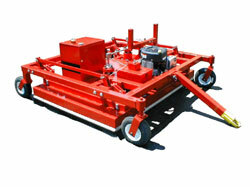 It is designed to be towed behind a vehicle that carries the water tank and pumping unit. 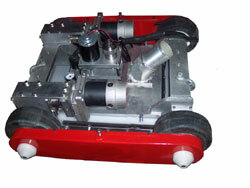 It incorporates vacuum port to recover the water. 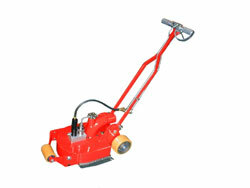 The rotation of twin 923RS Eddy-Jets is by means of a diesel or gasoline engine. Max. Press. : 30K psi (2070 Bar). Cleaning path: 72 ins. (1828 mm). Noz. Stand-off Dist. : 0.5 to 5 ins. (13 to 130 mm). Max. 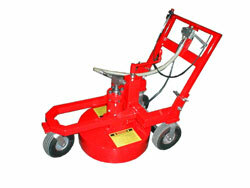 Eddy-Jet speed: 600 RPM. Diesel fuel tank: 10 gallon (38 liter).